Easy Homemade Guacamole Recipe - THE OLIVE BLOGGER - Recipes your family will love! This month was an easy decision, I love avocados and anything you can make with them! 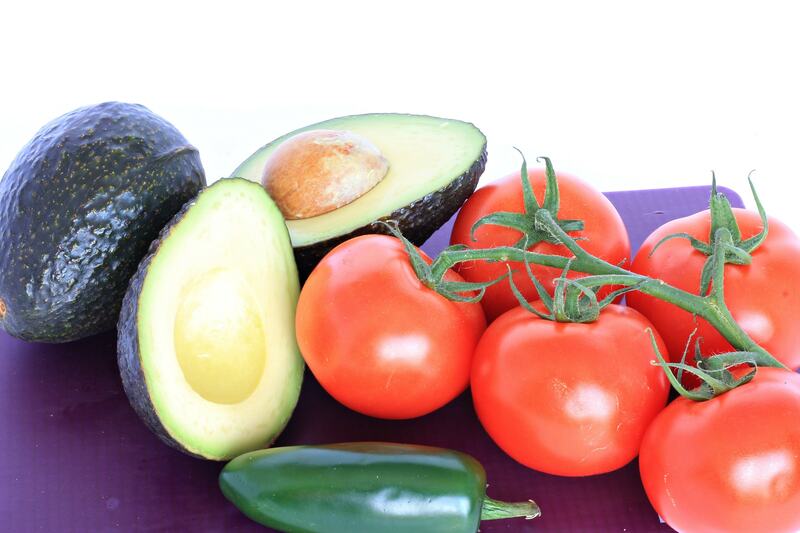 This Guacamole Recipe is so simple and packs a ton of flavor. You can have it ready in literally 5 minutes (although I prefer mine to sit in the fridge for a couple of hours to blend all of those delicious flavors together). And don’t worry about it going brown, I have a super awesome trick for keeping it beautifully green further down. The thing I love about Guacamole is really how easy it is to customize to your own tastes. The original recipe doesn’t call for any heat, but my hubby and I like a little tingle in our Guac so we added in half a jalapeno. How easy was that!? So remember I promised you a super cool trick for keeping your Guac green? I have heard of so many different tricks, and have tried many myself (most notably the addition of extra lemon juice) but so many of the tricks mess with the flavor of the actual Guacamole Recipe. I came across this tip and decided to give it a try, and it actually works! Ready?! Once your Guac is in a bowl and ready to go in the fridge add a thin layer of water and cover with plastic wrap. When you are ready to serve, gently pour the water off and mix in the little bit that stays on top! Yep, that’s it! And I swear to you it actually works, and doesn’t alter the flavor at all! Easy Homemade Guacamole Recipe – comes together in 5 minutes and is perfect for your Cinco de Mayo celebrations or just a quick snack! 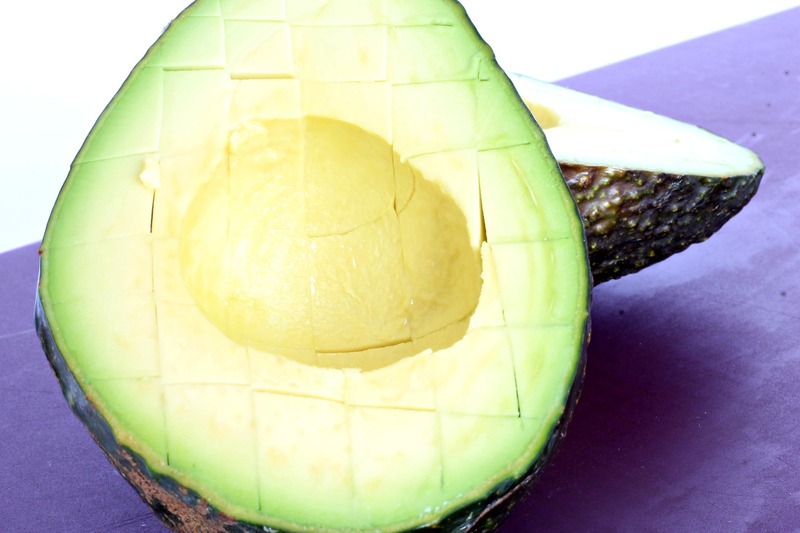 Here is another great and simple trick for cutting your avocados! Once cut in half you want to cut vertically through the avocado but not the skin, then go the other way and you will have little cubes that will fall out when gently scooped with a spoon! They are the perfect size for mashing into this Guacamole Recipe, and even great for when you want a quick avocado toast. Be sure to grab yourself a margarita and check out The Culinary Taste for the original recipe HERE!! I love homemade guac 🙂 This looks great! Thanks so much Jenna, we love it too! Anything with avocados is a winner in my house! YUM. Love me a good guacamole! And great tip with the water trick – I’ll give that a shot! Thanks Chrissie!!! It is such a weird trick but it really works, I swear!!! I couldn’t believe how gorgeous it was when I took it out! Homemade guac is the BEST! Love the recipe! I love guacamole! Most homemade recipes I have seen are difficult, but this one does look super easy. I love that trick to keep the guac green! Thanks Jessica, it really is an easy app to make and everyone loves it! I love guac! I like to add cilantro when I make it, I’ve never added jalapeño though! Will add one next time i make it. Mmm yes I love cilantro too, we didn’t have any on hand but it really adds a nice flavor to the Guac!! Try it with the jalapeno and let me know what you think! Yessss! I love avocados on anything, but especially in an amazing guac. I love how simple this is to throw together. Perfect to satisfy my weeknight cravings! Yep I am with you on that one!! And the water trick keeps it green for 3 days, so perfect to keep in the fridge and on hand!! What a great tip for keeping the guacamole green. So smart. I think guacamole is definitely a “dessert island” food. Homemade guacamole is always the best and this sounds delicious! I love your water trick to keep it green – really great to know! The worst part is when it starts to go brown, but with the water it stays green so much longer!